SCVHistory.com JJ1002 | Tataviam Culture | Altamirano Badillo, 1840-1913. Altamirano Badillo, seen here at Tejón in 1905, was of Tataviam, Serrano and other Fernandeño ancestry. He was likely born in 1840 in the lower Piru Creek area and spent his childhood at Camulos. Badillo died at Tejón in 1913 or 1914 (probably 1913). Identification of photograph comes from Johnson (1997). 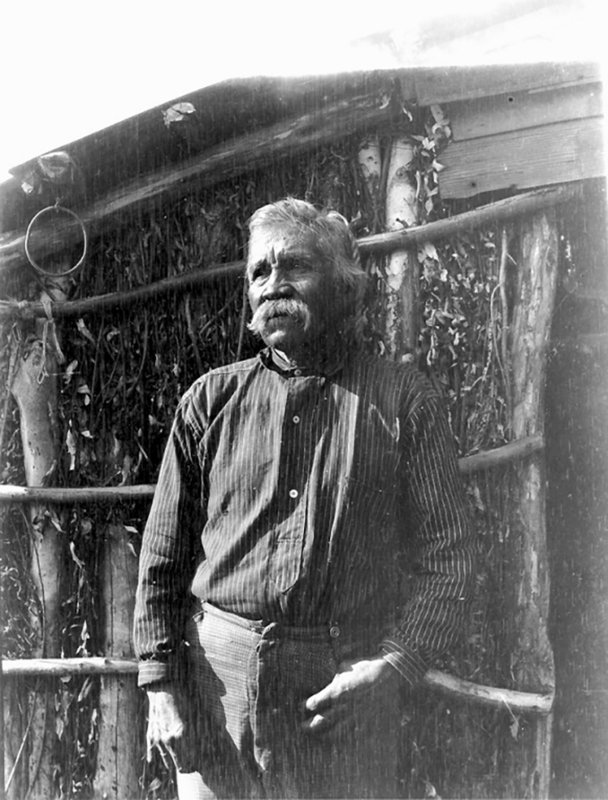 Altamirano Badillo was photographed at Tejón, where he was living, by anthropologist C. Hart Merriam, who interviewed him. Kroeber and Harrington also collected information about him; according to Johnson and Earle (1990), their notes variously refer to him as "Vadillo, Vadilla, Vadiyo, Vadio, Vadeo and even Video." Per Johnson and Earle: "Merriam recorded that 'Alto Mirano Vadio' had been born on Piru Creek and as a child had lived at Camulos. He later lived 15 years at Cahuenga before moving to La Pastoria where he lived for two years. 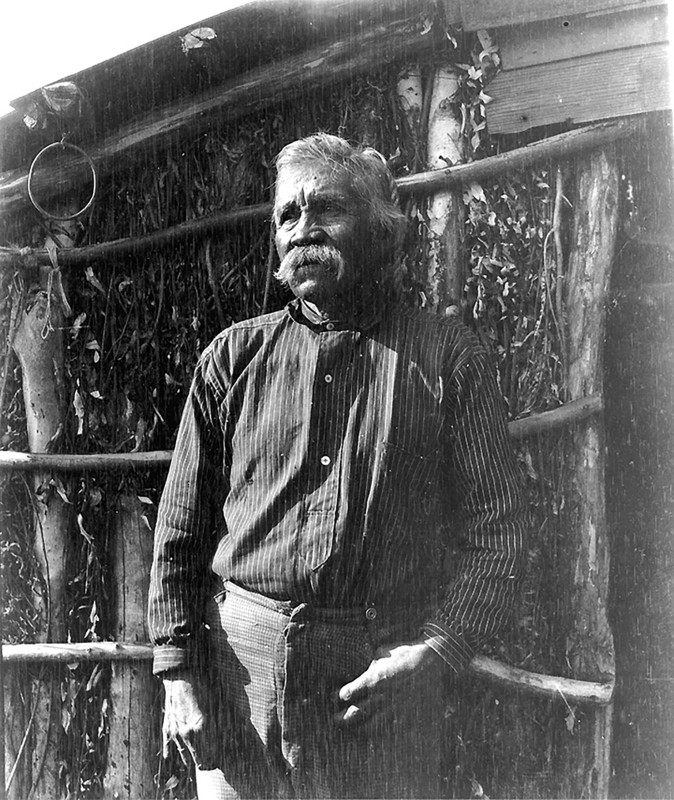 His last residence was in Tejón Canyon. Merriam collected a vocabulary from Badillo that has been shown to be Kitanemuk." 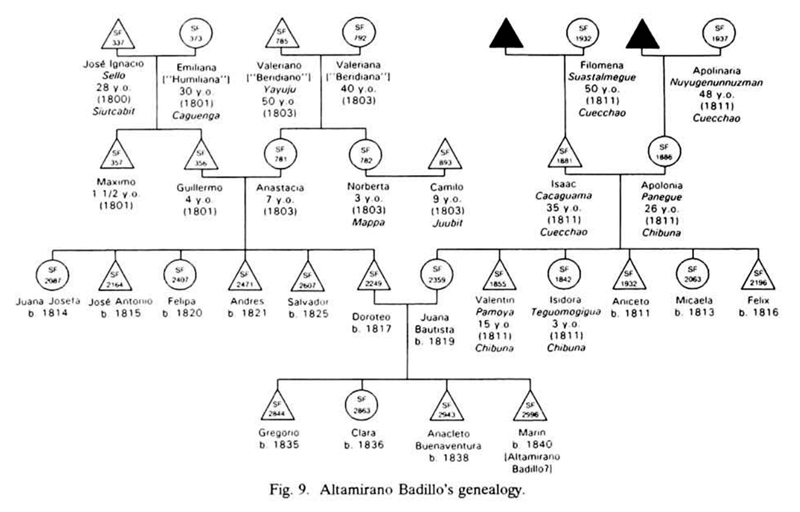 According to Johnson (1997), Badillo "provided Merriam with Cahuenga (Fernandeño) and Kitanemuk vocabularies in 1905." Per Johnson and Earle, Kroeber interviewed a woman in 1906 who said she believed Badillo was born at Camulos. 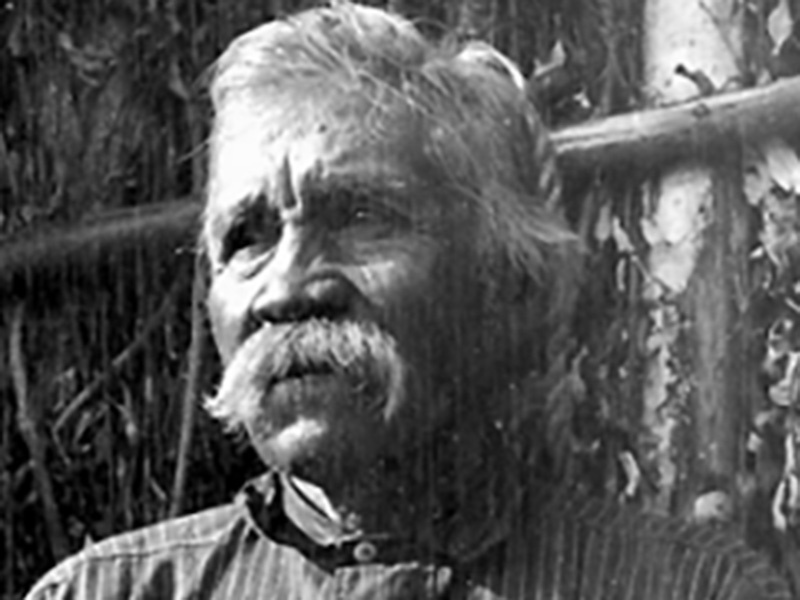 Harrington in 1916 (after Badillo's death) recorded that it was not known whether Badillo spoke Tataviam; that both his father and mother were from San Fernando; and that "all his relatives are dead." JJ1002: 9600 dpi jpeg from 96 dpi jpeg.